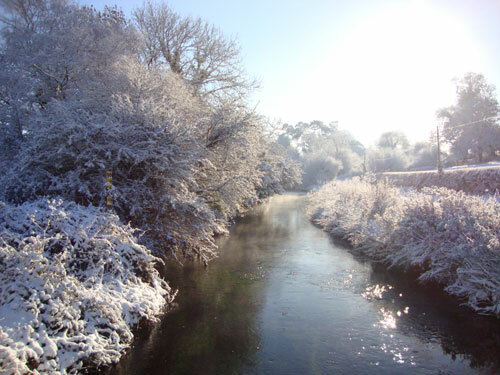 Bournemouth University is currently undertaking research in the catchment of the River Frome in the West Dorset area as part of an EU-wide programme. This area provides a number of Ecosystem Services to local residents from clean air and water, flood prevention to recreational activities and beauty spots, which are vital to the prosperity and well-being of the local community. The project is designed to help policy makers involve local knowledge in decision-making that influences the local environment. By collecting the opinions of local residents, tourists, farmers, businesses and specific interest groups a system will be developed to value the landscape in terms of the many benefits gained from vastly different uses. We are currently seeking the opinions of local residents or any individuals with an interest in the Frome catchment area which extends from Arne in the east to Beaminster in the west, through a short online survey at fromesurvey.com and we are keen for as many people as possible to participate. As well as gaining the opportunity for people to offer their opinions and assist with valuable research, participants will also be entered into a prize draw to receive local produce hampers when the survey closes at the end of January.